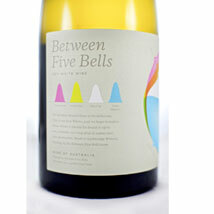 Between Five Bells White Cuvee. This 2011 blend of Pinot Gris, Pinot Meunier, Chardonnay, and Riesling is one of the best of the crop of new Aussie wines, possibly because the blend is fun and interesting and appeals to the inner wine nerd. The fruit is sourced from vineyards in Geelong in south Victoria, right on the edge of Australia’s southeast coast. A $60 white blend is a very hard sale, but this is worth every dollar. Complex, rich, layered fruit and flowers, and superb minerality—this is a white blend for people who love wine and food.